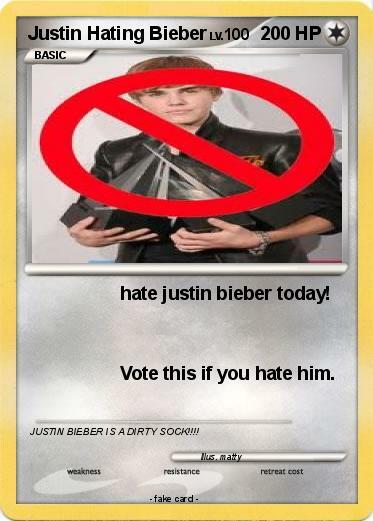 Attack 1 : hate justin bieber today! Attack 2 : Vote this if you hate him. Comments : JUSTIN BIEBER IS A DIRTY SOCK!!! !